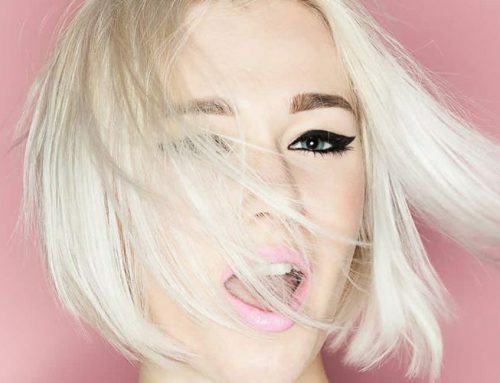 Getting your hair to grow can seem like an impossible task. 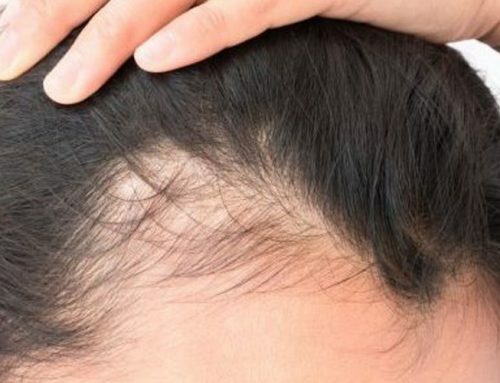 Whether you are just trying to grow out your short summer cut, or you’re looking to reverse hair loss due to age, genetics, or a skin condition, we know natural hair growth isn’t easy. Yet hair is so important to so many of of us. We want it looking and feeling healthy and natural. 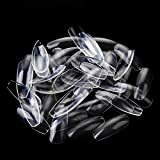 But with so much “quick fix” merchandise out there, it is hard to know which products and/or techniques to trust. Well don’t worry, we have you covered. 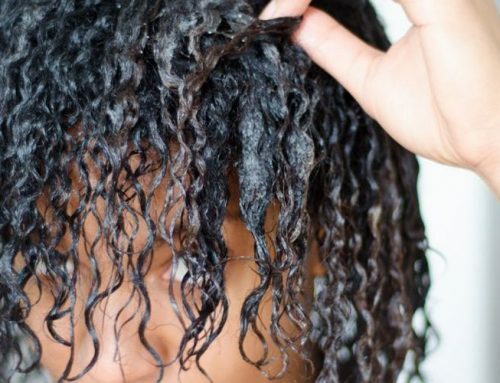 In this article, you will learn everything you need to know about healthy and natural hair growth and the best natural hair growth products that actually work. Learn about the growth cycle of hair, why your hair isn’t growing, and the best products to enhance natural hair growth. Find the right daily regimen for you, from oils to shampoos and even vitamins to add to your routine. By the time you are done with this article, you will be an expert on natural hair growth. So let’s get started on your natural hair growth journey! Before we discuss ways to help your natural hair growth, we should first understand the hair growth cycle itself. At any point in time, your hair is in one of four possible growth phases. These phases are called anagen, catagen, telogen, and exogen. Anagen is also known as the growth phase. Up to 90% of your hair is actively growing in this phase at any time. It lasts 2-7 years and determines the length of your hair. As we become older, the anagen phase becomes shorter and hair becomes thinner and weaker after each cycle. The catagen phase also known as the transitioning phase, usually lasts ten days. During this part of the cycle the hair follicle begins to shrink. This causes the follicle to become detached from the dermal papilla. Then comes the third phase known as the telogen, or resting, phase of the cycle. This is the time when old hair is “resting”. 10-15% of your hair is experiencing this at any time. While the old hair is resting, new hair begins to grow. Exogen is the phase when shedding and hair loss occurs. The average person sheds 50-150 hairs per day, exceeding this amount is considered to be abnormal. When hair follicles are functioning properly, after old hair detaches from the head, new hair begins to grow. The cycle of natural hair growth and even hair loss is not something that occurs overnight. It takes months, even years for hair to grow naturally. Fortunately, some products and treatments can help speed the process a little bit. Yet, it is important to practice patience when trying to naturally grow your hair, as it will take some time to see a difference in the length of your hair. Now that you understand how hair grows, it is essential to try to identify what is causing your hair to not grow. There are many variables that can contribute to this and sometimes there is not just one cause. Your hair may not be growing due to something as simple as genetics or age. Other times, there are additional underlying problems that are causing your lack of natural hair growth. Using the Wrong Products or Tools: Taking proper care of your hair includes the types of products and tools that you use on your precious hair. Using heat on your hair daily can cause your hair to become weak and brittle. Combing or brushing your hair with the wrong tools for your hair type can cause breakage and split ends. Chemicals, such as relaxers or hair dye: Chemical treatments can cause damage to your hair as well. This damage will make your hair weaker and more susceptible to split ends and breakage. Even just getting highlights may cause damage to your hair and is not recommended if you are trying to accomplish natural hair growth. Over-Trimming: I am sure you have read in magazines that in order to grow out your hair you must get a trim every 6-8 weeks. I hate to be the one to tell you this, but you may have been lied to. I say “may” because this advice depends on your hair type. Poor Nutrition: Having a poor diet directly effects our hair. Not providing your body with the proper vitamins and nutrients it needs for healthy, natural hair growth will result in weak hair. If you do not have a protein and vitamin rich diet, your hair may suffer the consequences. Alternatively, if you suffer from a vitamin deficiency, that may also be the reason for your lack of hair growth. Stress: Tension has been known to cause hair loss or inhibit hair growth. Being stressed or anxious can cause a condition called trichotillomania. This causes people to actually pull out their hair, causing breakage and damage to surrounding hair. Now let’s look at some the ways you can stimulate natural hair growth. From oil treatments and herbs to shampoos, conditioner and vitamins, whatever your lifestyle or hair type you should find something to help your hair grow faster, longer and healthier. Natural oils are great for natural hair growth because they provide your hair and scalp with added nourishment and moisture. Using oils is an easy and inexpensive way to create an ideal scalp environment for hair growth and stimulate the growing process. Castor oil has been recommended for years to help stimulate natural hair growth. It is used by many beauty gurus for not only the hair on their head, but to also stimulate growth of their eyelashes and eyebrows because it is rich in Vitamin E. Castor oil also contains ricinoleic acid, which increases circulation and stimulates hair growth. Best of all, castor oil is full of antioxidants that support the production of Keratin, a protein essential to healthy hair. This oil is popular because people claim to see results quickly, some say results are seen 3-5 times faster than their normal hair growth. Castor oil is easily absorbed and penetrates the hair fast, moisturizing your hair and preventing split ends. It even helps to balance the scalp’s pH, replenishes natural oils, and reverses damage that has been done to your hair. Many even consider it the best natural oil for hair growth. Castor oil can be applied once or twice a week. Apply a few drops onto your scalp and let it sit overnight. You may want to wear a plastic shower cap to avoid getting oil on your pillowcase. The shower cap will also hold in heat, helping the oil to absorb into your hair and scalp better. In the morning rinse and wash your hair. Here is a great castor oil you can order online. Argan oil is well loved in the beauty community and is often referred to as “liquid gold”. So it is no surprise that it is so beneficial to hair growth. This oil is naturally moisturizing because it is filled with many vitamins, such as A and E. Specifically, a type of vitamin E compound known as tocopherol, which boosts cell production and helps to regenerate hair follicles. Keratin production is aided by argan oil as well. The lactic acid and omega 6 contained in this oil also adds shine to your hair, that may be lost due to over processing or age. 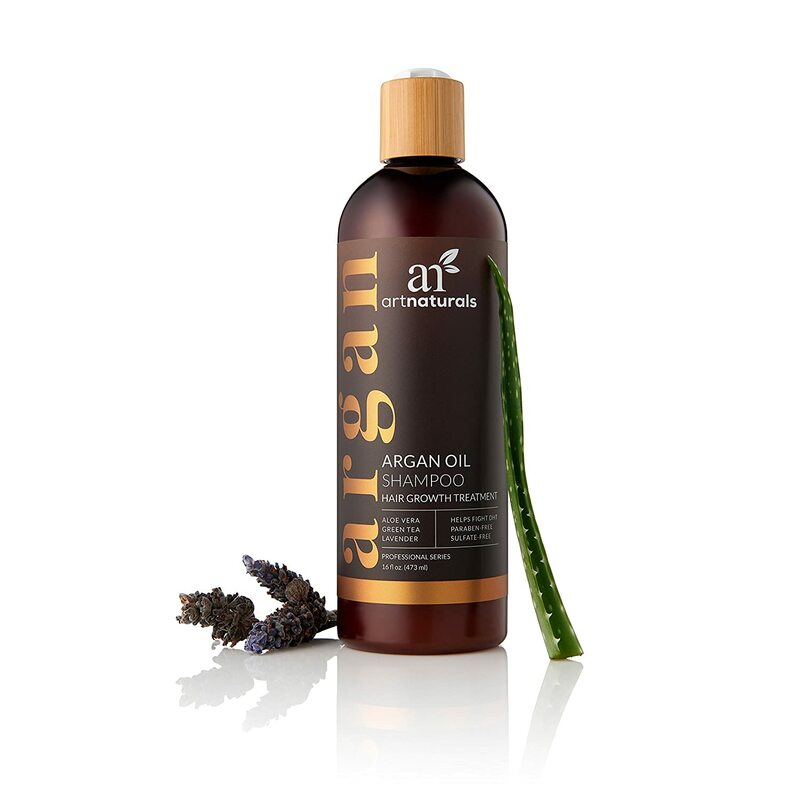 The ideal atmosphere for hair growth is created with the use of argan oil. The blood flow to the follicles is improved so nutrients can easily get to them. This results in strong and natural hair growth. Argan oil should be gently massaged onto the scalp. Accompanying the oil with a scalp massage allows for more stimulation and for the oil to penetrate the skin faster. This is a great and natural organic argan oil that will help to restore your hair in no time. When thinking about how to grow out our hair, we often think about what we need to add to our hair as opposed to what we need to take away. Tea tree oil helps to remove any scalp problems and keep your hair follicles clear and healthy. It is an antiseptic and antibacterial that removes any excess oil, product build up, and dandruff. If there is too much build up on the scalp, hair follicles will not function as well. Resulting in split ends, breakage, and hair loss. Although tea tree oil removes oil, it also helps to keep your scalp moisturized because it does not remove the oils that your hair needs. When buying tea tree oil, be sure to look at the concentration. Anything over 5% may cause irritation to the scalp, doing more harm than good. If you do purchase a more concentrated blend, be sure to dilute it with water or liquid state coconut oil. Here is a great tea tree oil to keep your scalp clean and promote hair growth. Naturally, not all shampoos are created equal. It is very important to look at ingredients when choosing a shampoo which promotes natural hair growth. Look for ingredients that are scientifically proven to work, as some manufacturers make false claims about their products. Look for the oils we discussed above on the ingredient list. Other ingredients to look for include, minoxidol, finasteride, ketoconazole, caffeine, biotin, and saw palmetto. Ultralax Labs Hair Surge | Caffeine Hair Loss Shampoo (click to check latest prices on Amazon). Hair Surge shampoo is packed with three key ingredients, caffeine, saw palmetto, and ketoconazole. Ultralax shampoo will help your hair grow long and healthy quickly because it is formulated specifically for hair growth. The active ingredients are made to stay on the scalp until they are absorbed. This is very different than other shampoos with active ingredients that are easily washed away. This shampoo is safe for all skin and hair types. If you are unsatisfied for any reason, Ultralax offers a 90 day money back guarantee. 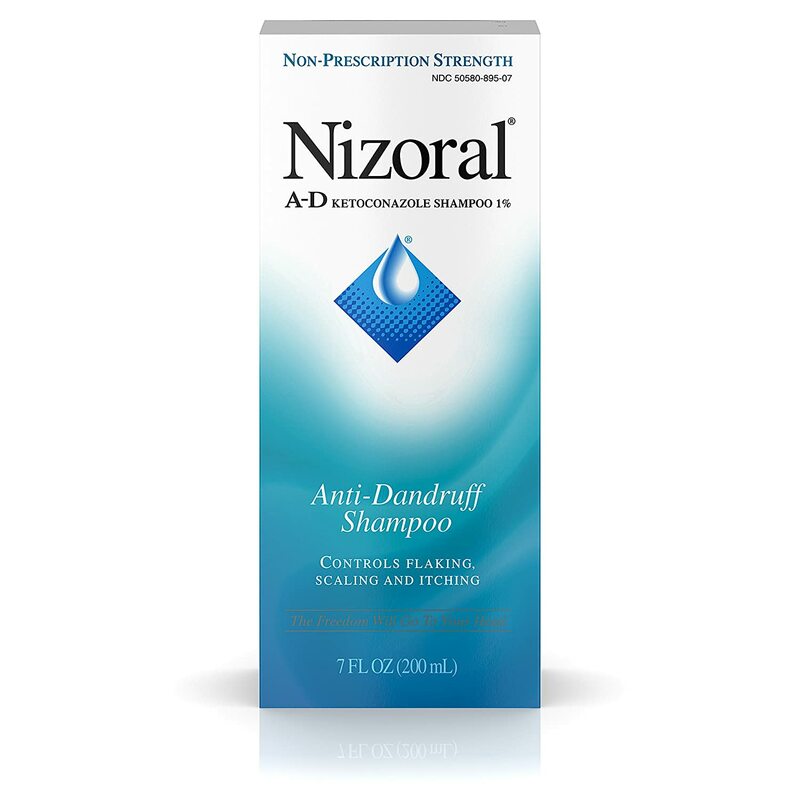 Nizoral A-D Anti-Dandruff Shampoo (click to check latest prices on Amazon). Although this shampoo is advertised as an anti-dandruff shampoo, it also promotes healthy hair growth. Nizoral is a powerhouse shampoo that does three jobs at once. It cleans the scalp, kills fungus, and blocks receptors that stop hair growth. It also contains the key ingredient of ketoconazole, stimulating hair growth. This version has 1% of ketoconazole, but a prescription version is available from doctor containing a 2% concentration. 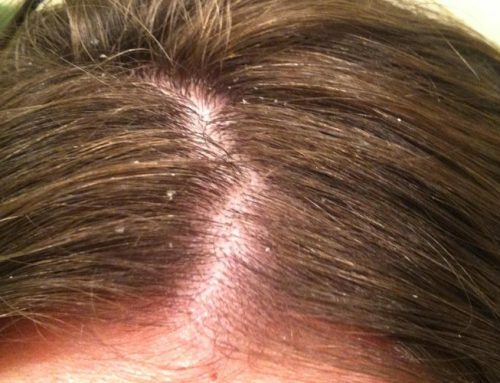 It also kills the fungus that causes dandruff that can build up on hair follicles. Be careful to not leave the shampoo on for too long, as it can become irritating to the scalp. Art Naturals Organic Argan Oil Hair Loss Shampoo (click to check latest prices on Amazon). Argan oil hair loss shampoo utilizes natural ingredients like argan oil, caffeine, biotin, and saw palmetto to stimulate hair growth. Art Naturals is an all-natural shampoo that is paraben, sulfate, and irritant free. This shampoo will work for all hair and skin types to clean and restore balance to the scalp. It also includes nourishing oils like peach, almond, and jojoba oil. Compared to other hair growth shampoos, this one is less expensive. But if you are unsatisfied with your results, the company offers you a 100% money back guarantee. This is the best natural shampoo for hair growth available. Ultralax Labs Solaye | Caffeine Hair Growth Stimulating Conditioner (click to check latest prices on Amazon). This stimulating conditioner is meant to be used with the Ultralax shampoo and contains so many great hair growth stimulating ingredients. It has caffeine that stimulates the speed of the hair growth cycle and jojoba oil that helps to remove excess oil while keeping moisture on your scalp. This conditioner encourages circulation, increases blood flow to hair follicles, conditions, nourishes, and strengthens your hair. It softens and moisturizes your hair without weighing it down or clogging your hair follicles. Ultralax is a great choice for both men and women who want to grow out their hair. 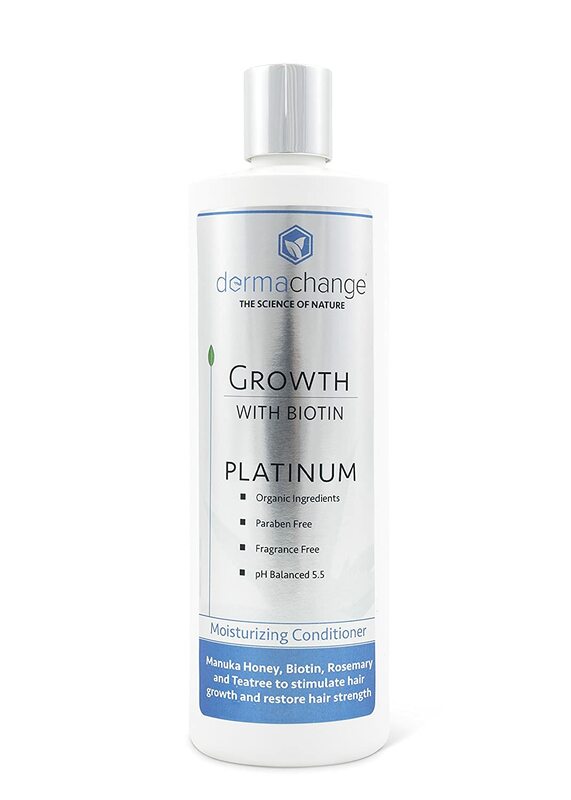 DermaChange Platinum Hair Growth Conditioner (click to check latest prices on Amazon). DermaChange conditioner provides your hair with the nutrients it needs for growth, like biotin, argan oil, and tea tree oil. It is paraben, sulfate, gluten, and fragrance free. The conditioner does not contain any fillers that can cheapen the product and dilute the hair growth ingredients. It contains natural ingredients like aloe, manuka honey, rosemary, and eucalyptus oil to help hair grow healthy and thick. This conditioner can also help treat pre-existing medical conditions such as alopecia. 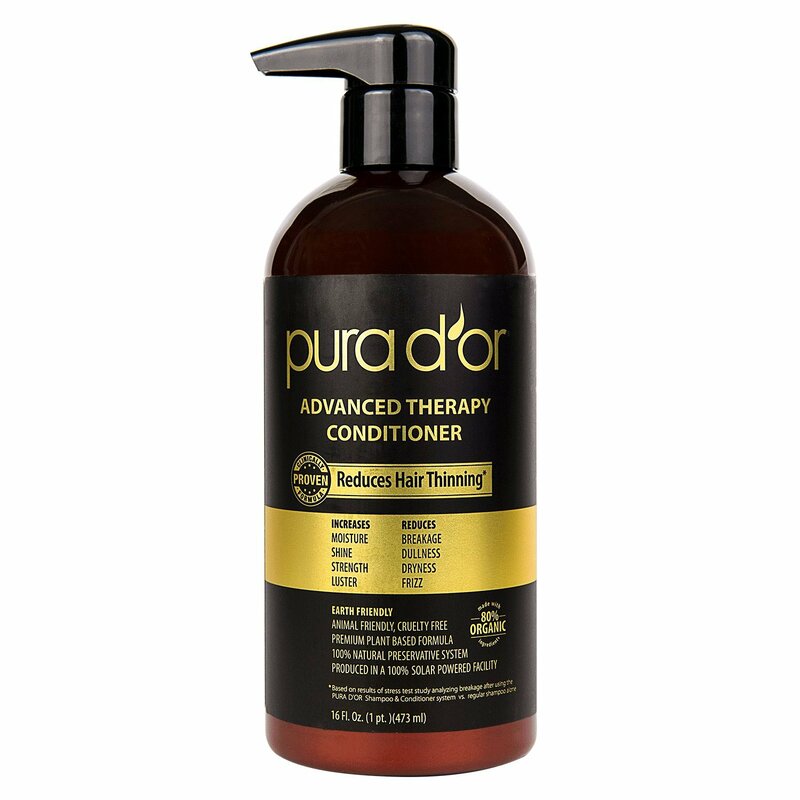 PURA D’OR Hair Loss Prevention Therapy Conditioner (click to check latest prices on Amazon). Although this conditioner has prevention in the name, it does wonders to promote healthy hair growth and help reverse hair loss. The ingredients list includes biotin, niacin, argan oil, and aloe vera. The goal of PURA D’OR was to combine science and nature for optimal hair growth. The conditioner does not contain fillers such as water, so your hair is getting the most nutrients possible. It helps to stimulate hair follicles, reduce breakage, and nourish your hair from root to tip. It is safe for color treated hair and is hypoallergenic. Having proper nutrition is an essential part of natural hair growth. This includes making changes to your diet, adding herbs to your food and drinks, and taking vitamins to fill any gaps in your regular diet. Rosemary is an herb that has been used for hundreds of years to combat hair loss and help stimulate natural hair growth. It helps to increase blood flow to the hair follicles which transports more nutrients to the hair. Rosemary can also be used as an antifungal to get rid of infections that can wreak havoc on healthy hair. This herb has antimicrobial properties that help to combat dandruff and scalp irritations that can aggravate hair follicles. Rosemary can be used in a tonic, rinse, or infused into an oil. It is one of the best natural herbs for hair growth. Stinging Nettle is known to stimulate hair growth by preventing the hormones responsible for hair loss, DHT. It helps to reduce inflammation and stop free radical damage. Free radicals can cause damage to the scalp which will lead to inflammation. Stinging nettle can be used in a tonic, taken as an herbal supplement, or infused into an oil. Gingko Biloba is known as a great herb for helping increase memory, but it is also very useful for hair growth. It corrects any deficiencies that may be present in hair follicles that may cause hair loss. Circulation to hair follicles is also improved. This herb helps to widen blood vessels that give hair follicles nutrients, which helps them better perform and leads to more hair growth. It is even helpful for those with alopecia. There are certain vitamins to look for when choosing a supplement to take for natural hair growth. But with all of the vitamins and herbs that are beneficial to the health of your hair, it can be hard to work them all into your diet or take them each individually as a supplement. Viviscal Extra Strength Supplement (click to check latest prices on Amazon). 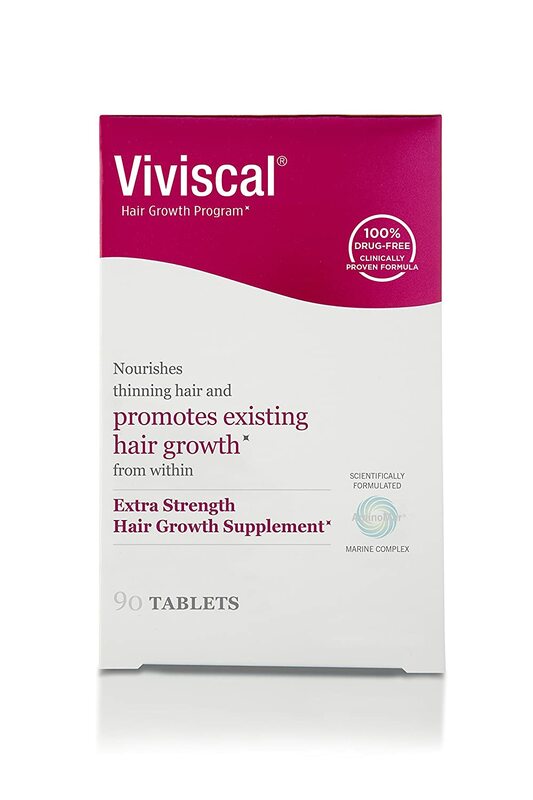 Endorsed by hairstylist and celebrity Tabatha Coffey, Viviscal is one of the top selling hair growth supplements in the world. It contains biotin, zinc, and Aminomar. Their formulation is backed by 5 clinical trials, to show that this product actually works to help your hair grow. It prolongs the anagen, or growing, phase of your hair’s growth cycle and provides vital nutrients to the hair follicles. Viviscal says results can be seen after 4 months. One thing to note is that you should not take this supplement if you have a fish allergy. 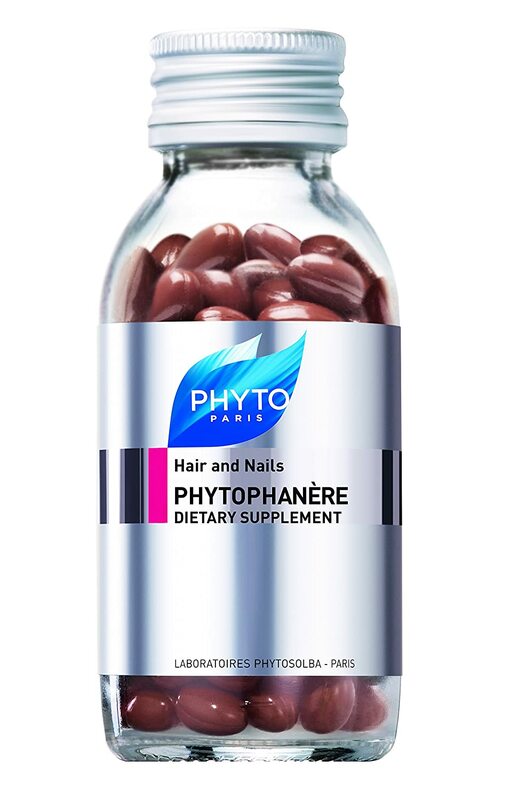 Phyto Phytophanere Hair and Nail Supplement (click to check latest prices on Amazon). Phyto has created a supplement that not only promotes hair growth, but also radiant skin, long lashes, and strong nails. This supplement is filled with vitamins A, B, and C, rich with biotin, and has plenty of omega 3 and 6. It is highly potent and all natural so you can ensure that you are taking care of your body. For visible results, 4 months of continuous use is needed. Mane Choice Manetabolism Plus Hair Growth Vitamins (click to check latest prices on Amazon). Mane Choice wanted to make sure that you had all of the nutrients you need for healthy hair growth, while packing in everything you need for your overall health as well. This vitamin will thicken and strengthen your hair as it grows, support healthy skin and nails, and boost immune health. It is beneficial for all hair types by helping to speed up the growth process. This is an awesome choice if you are looking to take care of your hair and the rest of your health. Having a balanced diet is very important to the health of your hair. You must get the proper nutrients and stay hydrated to give your body what it needs to grow your hair. Add fruits and vegetables to your diet, along with lean protein rich foods. Protein is essential to hair growth because hair is made up of a protein called keratin. Also make sure you are getting enough iron. Iron can be found in dark leafy greens, nuts, and legumes. Taking action on your own may not be enough to fix your hair growth problems. You may need to seek the opinion of a doctor. Your hair loss could be caused by one of the medications that you are taking. If you think this is the case, speak to your doctor about switching to another medication that won’t affect you in this way. Or your hair loss may be caused by an underlying medical condition. Again, this is when you need to speak to your doctor. They will help identify what your condition is, how to cope with it and how to treat it. A trip to the dermatologist may be needed if you think you have a skin infection or disease. They are trained to treat hair and skin problems and will be able to offer you potential solutions. When using truly effective hair growth treatments caution is advised… Image credit. There are many other treatments that people swear by to help hair to grow. Some work and some are placebos at best. Scalp massages promote hair growth because they increase blood flow to the scalp and hair follicles. Even just taking four minutes to massage your scalp daily can promote hair growth and help to decrease any inflammation of the hair follicles. These massages can also be a form of stress relief. When massaging, start at your hairline and work your way back. Begin with gentle pressure from your fingertips and gradually increase pressure as the massage continues. You can perform a scalp massage in the shower while shampooing your hair or when your hair is dry. Red light therapy stimulates cellular activity to achieve therapeutic benefits and can be used for many different purposes. Treating hair loss is one of its most popular uses. The red light therapy increases blood flow in the scalp and stimulates the hair follicles during the anagen, or growth, cycle. This promotes a faster growth process and allows hair to grow thicker and stronger. You may want to talk with your hair stylist about your current haircare and styling routine. Ask for any recommendations that they may have. What kind of brush or comb should you be using for your hair type? 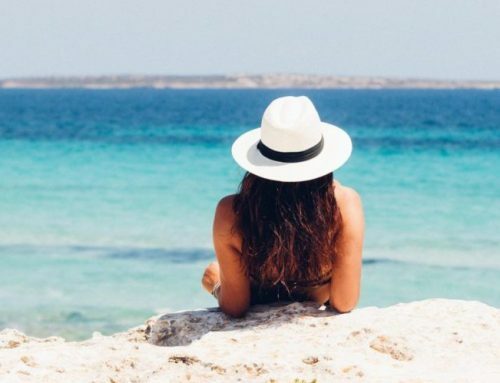 What temperature should you use on your hair? What are some heat free styles you can try? How often should you come in for a trim? These are all questions a qualified stylist will be able to answer for you once they get a good look at your hair. They will easily be able to tell you which products, tools, and techniques are best for your hair type and texture. These products and methods can be combined to create a routine unique to you to promote healthy, natural hair growth. Just remember that it may take some time to see results, as hair growth is not a cycle that is completed in one night. 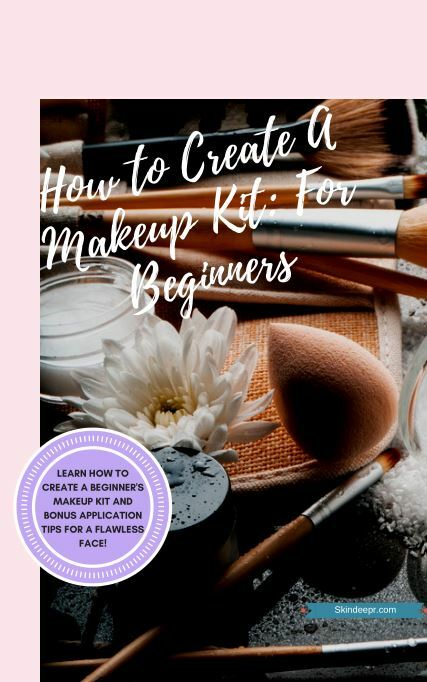 What products or techniques do you think you’re going to try?